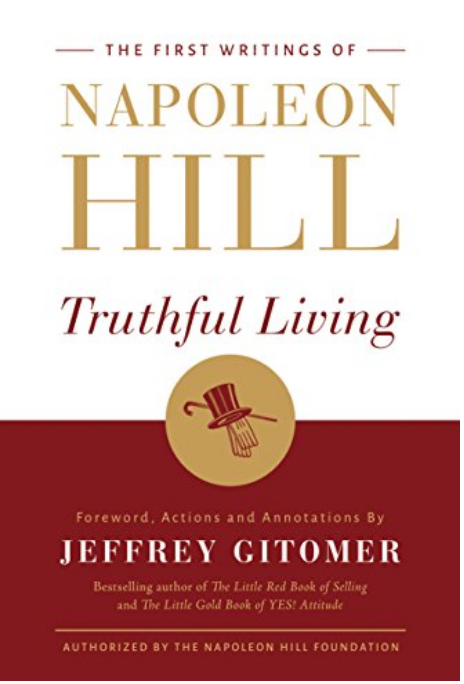 The foundation of Napoleon Hill’s self-help legacy: his long-lost original notes, letters, and lectures – now compiled, edited, and annotated for the modern reader, brought to you by New York Times bestselling author, Jeffrey Gitomer. Thank you to everyone who has bought this book. Please leave a review here. For the few who don’t have it yet, the holidays are coming fast. 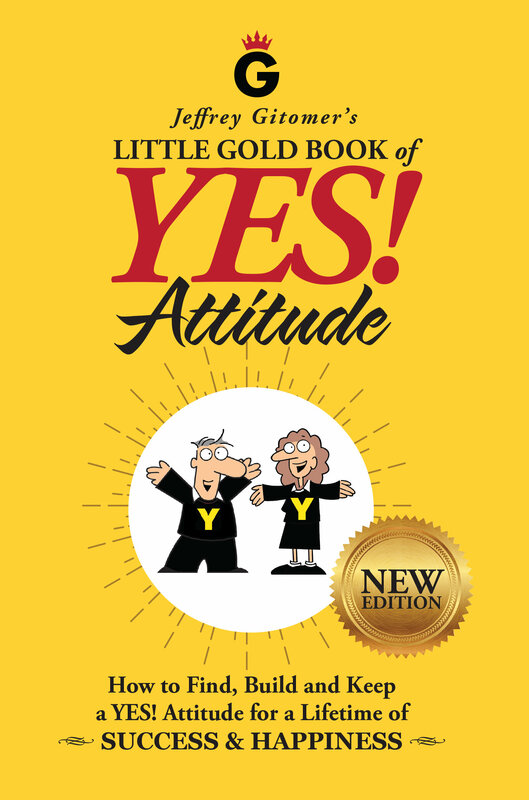 Grab a copy for you and everyone on your list! 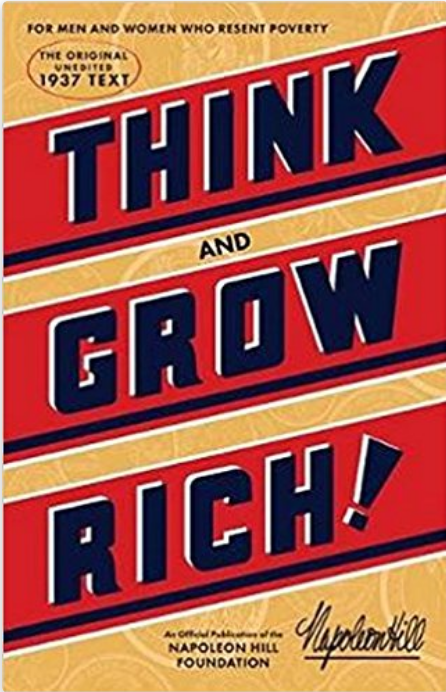 Becoming a millionaire or multimillionaire may engender a good feeling, and reaching any other worthwhile goal may be very satisfying to you, but the important point you should plant in your subconscious is that what you become during the process is what should matter most. 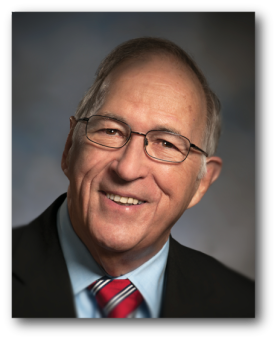 When he wrote, “Success is a journey, not a destination,” author Ben Sweetland probably said it best. The principles of the laws of attraction and sowing and reaping are as reliable as those of the law of gravity. When these principles are studied and applied, those who follow them can expect the same results that successful people have obtained. If you follow these principles, you can expect success, but when you violate them, you can expect failure. What I desire for you is for you to become more than a millionaire. Did you comfort the sick, clean up the environment, mentor the less fortunate, provide a scholarship, or help with a Boy or Girl Scout troop, or did you simply leave a lot of money to relatives who did little or nothing to deserve such an inheritance? The choice belongs to each of us, but my experience has taught me that by far the happiest people are those who have made a positive impact on the lives of others. $15.95 within the continental U.S.A. 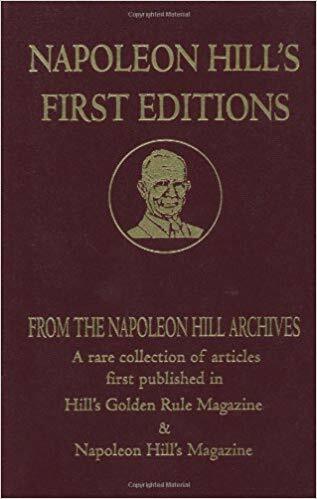 This is the fourth in a series of excerpts from Napoleon Hill’s First Editions. Most of us are asking for success without the usual hardships that come with it. We want success with as little effort as possible. May it not be well to deﬁne success as we understand it, and write out a description of it as one of the items on our list of hoped-for achievements for the coming year? 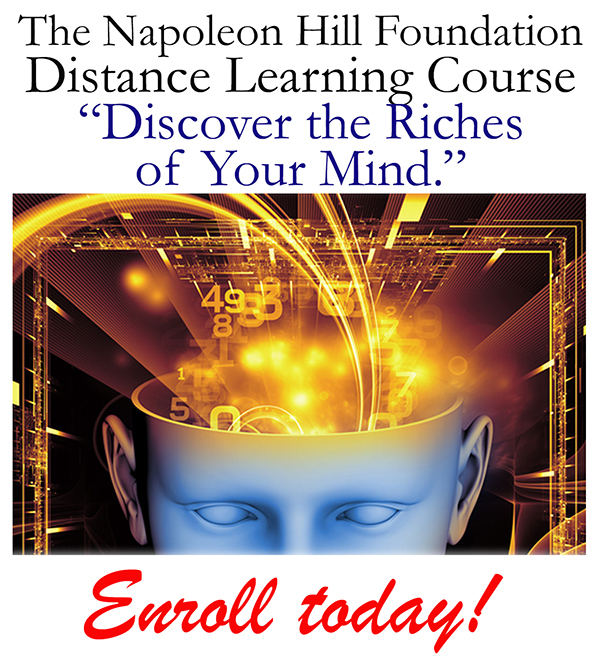 Success is the sum total of one’s acts and thoughts that have, on account of their positive, constructive nature, brought happiness and good cheer to the majority of those with whom one has been associated in the past and the majority of those with whom one will be thrown in contact the coming year. You cannot possibly bring happiness, good cheer, and sunshine into the lives of those with whom you associate and not enjoy success. Neither can you bring misery, despondency, and unhappiness to others and be a success. If you cause other people to smile when you are near; if you carry with you that rich, vibrating, dynamic personality that causes people to be glad when you are near; if you speak and think of the beauties of life and persuade others to do the same; if you have eliminated cynicism, hatred, fear, and despondency from your own nature and ﬁlled their place with a wholesome love for all humanity, then you are bound to be a success! Money is not evidence of success. It may be, in fact, evidence of failure, and will be if happiness and goodwill did not accompany it throughout the process through which it was accumulated. 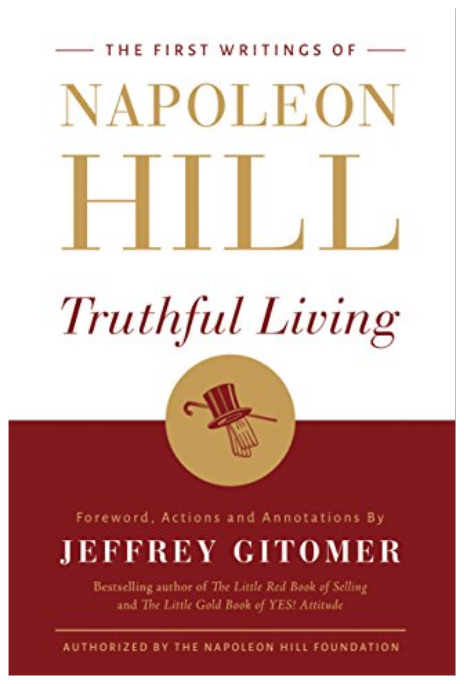 I value more highly than all the wealth in the world the pleasure —the thrilling joy—the happiness and contentment that has come to me as a result of the opportunity I have had during the past year to serve my fellowmen through the pages of this magazine. Could any amount of money buy such pleasure? No! A thousand times, no! Pleasure comes from doing and not from acquiring! This is a lesson that some people seem never to learn, but it is a truth nevertheless. The roadway to that thing we call success leads only in one direction, and that is straight through the great ﬁeld of human service. Any road that leads in other directions cannot possibly reach success. I intend to try to be happier this year than I was last year; not by “acquiring” more worldly goods, although I could use these to advantage, but by serving more people through this magazine and by bringing greater happiness to the members of my immediate family and my personal friends. If we cannot increase our measure of success in this manner, then we know not how to do so! 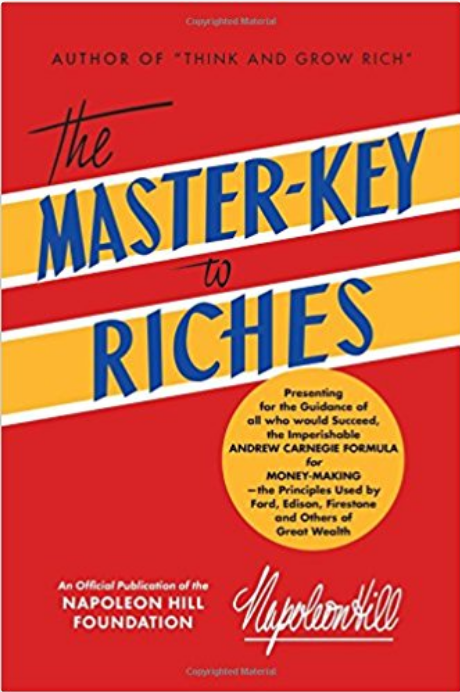 By no means do I recommend that anyone give up the pursuit of money as one means of ﬁnding success and happiness, but I strongly recommend that no one depend entirely upon the power of money for success. I have never had enough money to cause me to quit trying to render service, but some whom I know have had, and the result was not what I call success. Financial success brings power, and power is a dangerous thing to those who have not learned how to use it justly and wisely. Great ﬁnancial power has a decided tendency to develop intolerance and disregard for the rights of others. When you begin to succeed ﬁnancially, you will need to watch your step more closely than ever before. Financial success too often smothers the finer impulses of the human heart, and leads a person to the worship of the god of Mammon! It is the exception and not the rule when a man who accumulates great financial power without having tasted liberally of the dregs of poverty uses that power wisely. Real success cannot be measured in dollars. It is something that can be measured only by the quantity and the quality of service one renders for the good of others. If ﬁnancial power takes away the desire to render useful service, then it may be properly interpreted as failure instead of success. I do not know for sure, but I strongly suspect that the only real success is that which brings happiness to oneself and to others. I also suspect that the only sure means of attaining happiness is through some sort of useful service which helps others to ﬁnd happiness. Financial power doesn’t always do this. 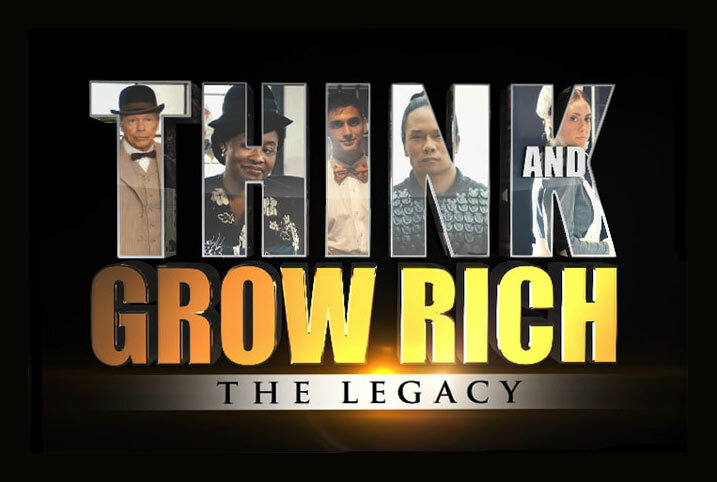 Watch your step as you begin to accumulate more money than you need for your daily use. Take care that it does not blind your eyes to the one sure pathway to real success, which is the performance of useful service for the good of humanity. We are much more than the sum total of our parts. Your net worth is more than money, and your value is far beyond what you realize. I have never believed that we are human beings seeking a spiritual experience. Instead, I believe that we are spiritual beings having a human experience. The most talented, gifted, and well-connected people don’t always win or succeed. Often, the least likely among us rise to the top. These intangibles are what complete the mind, body, and spirit package that constitutes who we are. All success begins in your spirit, and there is no success without a spiritual component. Each of us is born with unlimited potential and unlimited options. As infants, we are quite certain that the entire universe revolves around us. Things are only important as they impact or relate to our lives. It’s almost as if we were born with a banner that proclaims I’m lovable; I’m capable, and I’m able to do anything I set my mind to. As time goes on, we make the mistake of allowing other people to write things on our banner. And they will write things such as You’re ugly; You’re stupid, or You will never amount to anything. By the time we are through with our education and ready to commence with our lives, we are so burdened down with graffiti on our banner that the original message is often totally obscured. No one can write on your banner or put a message into your mind that you will not accept. But in our own inadequacy, we often accept criticism from everyone and praise from no one. When people around us who know us well tell us we are special or valuable, we too often minimize this by simply stating I’m lucky or I’m really not that great. On the other hand, when a total stranger is rude or inconsiderate to us, we have a tendency to embrace their venom as something we deserve and embody. Please remember that you were born lovable, capable, and able to do anything you set your mind to. Any other messages that you carry around with you are messages that you allowed someone else to write on your banner. Some of us need to begin to use the biggest mental eraser we can find in order to reveal the simplicity of the original message. Jim Stovall is the president of Narrative Television Network as well as a published author of many books including The Ultimate Gift. He is also a columnist and motivational speaker. He may be reached at 5840 South Memorial Drive, Suite 312, Tulsa, OK 74145-9082; by email at Jim@JimStovall.com; on Twitter at www.twitter.com/stovallauthor; or on Facebook at www.facebook.com/jimstovallauthor.